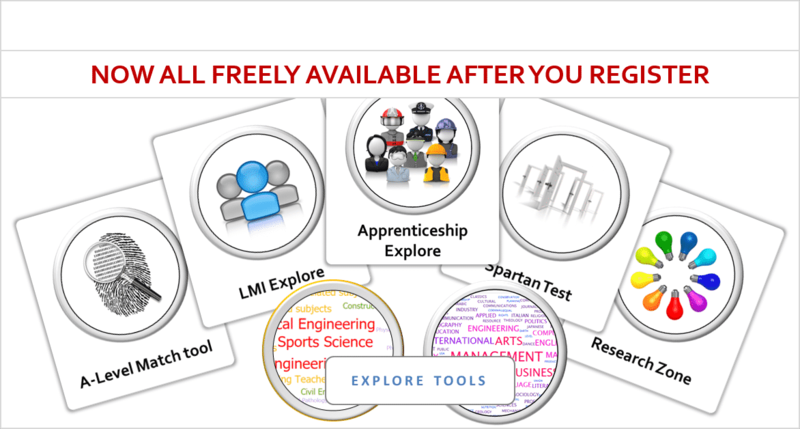 Here you will find our range of tools that will allow you to explore courses, careers, labour market information and much much more. This tool will allow you to explore the very latest Labour Market Information – All powered by the fantastic ‘LMI for All’. Links to live Job Vacancies – where could this subject take you? An alternative approach to the usual Keyword search, where if you don’t know the keywords, how are you supposed to know what courses are available?!? We want to open your eyes to the variety of subjects available…have fun! Ever wondered where that college or university is located then try our Interactive UK Map.